*Aerate twice a year (compacted soil promotes weeds). Add a soil loosener, like compost, then reseed. The federal Secure and Fair Enforcement for Mortgage Licensing (SAFE) Act requires most property owners who wish to seller-finance to be licensed as residential mortgage loan originators (RMLO). The Texas Department of Savings and Mortgage Lending, responsible for the act's implementation in Texas, announced last week that it's delaying the licensing deadline from May 31 to Aug. 31. This delay is the first step toward reinstating the de minimis rule, which allows a seller to finance the sale of up to five properties within 12 months without a license. The Texas Finance Commission will consider a rule change reinstating the de minimus rule at its August meeting. This is good news for private-property owners. If you should have any further questions on this or any other real estate topic, please feel free to contact the Grove Team at info@groveteam.com or go to our website at www.groveteam.com. The Senate has approved a plan to give homebuyers an extra three months to finish qualifying for federal tax incentives that boosted home sales this spring. The move by the Senate Majority Leader Harry Reid would give buyers until September 30th to complete their purchases and qualify for tax credits of up to $8,000. Under the current terms, buyers had until April 30th to get a signed sales contract and until June 30th to complete the sale. The proposal would only allow people who already have signed contracts to finish at the later date. About 180,000 homebuyers who already signed purchase agreements would otherwise miss the deadline. The Nevada Democrat added the proposal to a bill extending jobless benefits through the end of November. For more information, contact the Grove Team today! The Grove Team proudly introduces this new listing in Bedford! 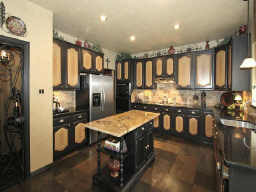 Situated on a private cul-de-sac lot in prestigious Rustic Woods Addition, this fabulous home boasts amenities galore! Beginning with the well designed floor plan, upstairs game room, and backyard retreat. The well-appointed kitchen includes updates such as granite countertops, a faux stone backsplash, functional island, dishwasher, cooktop, built in microwave, and stainless steel sink. Don't miss the wine closet behind the iron door. Other details that greet you as you tour this home include, faux wall finishes, premium wall textures, updated light fixtures, door hardware, plantation shutters, wood blinds, and bricked archways. Beautiful slate flooring extends from the entry through the downstairs living, dining and kitchen. Generously sized rooms provide plenty of space for oversized furniture. 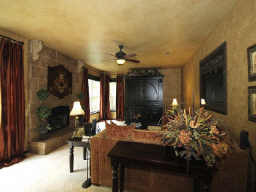 The luxurious master suite offers relaxation and room for a sitting area. Amenities extend to the adjoining bath with its jetted tub, separate shower, and room sized closet. 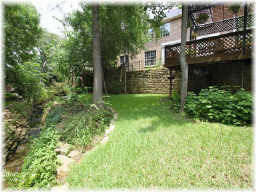 Escape out back to experience a lush, green, and relaxing environment. Once outside, you won't believe you are still in Texas! The lot extends beyond the stone creek. Contact the Grove Team today to schedule your private showing of this amazing new listing! Many people think of their home as safe place for themselves and their loved ones. Unfortunately, injuries occurring on residential property result in nearly 21 million medical visits and 20,000 deaths each year. It is important that you and your family be aware of potential hazards that may exist in your home and the ways to keep your environment free from danger. Contact the Grove Team directly for more information on this month's Item of Value. It outlines the most common causes of unintentional home injuries and deaths. It also provides ideas you can implement to make your dwelling safer, such as ensuring that you have an emergency evacuation plan and checking for recalls on potentially hazardous items commonly found in residences. Are you considering buying or selling a home? Contact the Grove Team - we are available to assist you with all of your real estate needs! 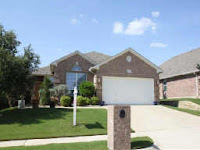 Located in the popular Trace Ridge Addition, this home is conveniently located in the Keller ISD and features a community pool and playground. 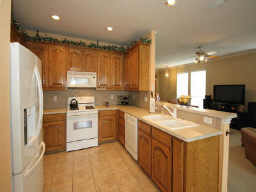 The family-friendly setting is one you will enjoy calling home. The open floor plan invites entertaining family and friends! Featuring an additional living space that could be a second dining area. 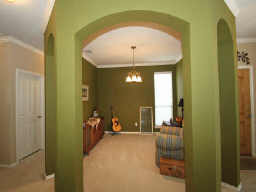 Decorator colors and crown molding set the style as soon as you walk in. The cooks kitchen boasts beautiful 42" custom cabinets , upgraded appliances, and a breakfast bar. Open to the living area, it lends itself to comfort and entertaining. Enter the roomy master with adjoining en suite bath that welcomes you with it spa like atmosphere. Enjoy privacy and comfort everyday. Step outside to relax under a pleasant covered patio and nicely landscaped yard. 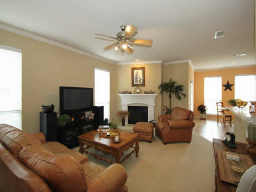 Additional amenities include all-brick construction, full guttering, automatic sprinkler system, and security system. 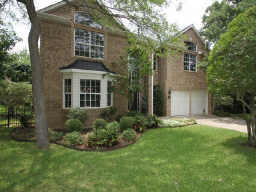 To schedule your private showing of this wonderful home, contact the Grove Team direct! The Secure and Fair Enforcement for Mortgage Licensing Act or the SAFE Act's primary purpose is to place minimum licensure requirements on all mortgage-loan originators. However, the licensing requirements also expand to those who are offering to owner finance their investment or second home properties. * A seller, who wants to owner finance, must be licensed as a Residential Mortgage Loan Originator (RMLO) in ALL 1-4 family residential transactions that are not their primary residence or to a family member. * Applicants must complete education, submit fingerprints for background checks, pay association fees and sit for an exam. * There are NO EXEMPTIONS for five or fewer transactions during a 12-month period. Are you considering buying or selling a home? The Grove Team can help! Contact us for all of your real estate needs! Here are ten suggestions that will help you accomplish both of these goals. By resolving to make your home as unpolluted as you can make it, you can make your family and yourself healthier by removing damaging toxins from your environment. It's possible to live in a completely nontoxic home. Changing everything at once however, can be a daunting and difficult task. Start by making the commitment to reduce toxic exposures in your home. It's not about being perfect; it's about moving in a direction. When faced with a choice about a household product, ask yourself, "How can I use this in a nontoxic way?" Over time, you can transform your house into a healthy home. 1. Nix ammonia. Ammonia can cause eye and respiratory tract irritation and burn your skin. Instead, mix one part white or apple cider vinegar with one part water in a spray bottle for a glass cleaner. 2. Formaldehyde Free. Polyester/cotton blend sheets and no-iron cotton sheets are typically treated with formaldehyde, which can cause insomnia and respiratory problems. Opt for cotton flannel or untreated cotton percale sheets. 3. Install carbon-monoxide detectors. Homes with gas appliances or heaters should have carbon-monoxide detectors. Carbon monoxide starves the body and brain of oxygen and can be fatal. Symptoms include sleepiness, headache, dizziness, flushed skin and disorientation. 4. Replace mothballs with sweet sachets. Mothballs are made of paradichlorobenzene, a chemical that can cause headaches and irritation to nose, throat and lungs. Prolonged exposure can cause liver and kidney damage. Protect woolens by making sachets from dried lavender and equal parts dried rosemary and mind. Cedar products are also effective. 5. Use soap-based cleaning products instead of detergents. Soap is made from natural oils and minerals. Detergents are petrochemical-based products responsible for more household poisonings than any other substance. 6. Remove chloroform from your shower water. Hot water containing chlorine (which covers all municipal tap water) releases chloroform, which has been identified by the U.S. Environmental Protection Agency as a dangerous indoor air pollutant. Chlorine can be removed from shower water by using a water filter specifically designed for this purpose. 7. Use organically grown produce. Most food sold in supermarkets is sprayed heavily with pesticides, many of which can cause cancer. Buy pesticide-free, organically grown food. Purchase what looks good and is in season. 8. Take a botanical bath. Many bath products contain detergents and artificial fragrances that can be irritating to sensitive areas. Instead, use natural substances such as fragrant dried or fresh herbs (lavender, rosemary, peppermint), a quart of buttermilk or one cup Epsom salts. 9. Use water-based pens and markers. Dispose of permanent ink pens and markers, which contain toxic volatile solvents. Office and art supply stores carry water based pens and markets in every size and color. 10. Get houseplants. They freshen the air by absorbing carbon dioxide we exhale and release the oxygen that's vital for us to breathe. Some plants, like the spider plant remove some air pollutants. As Texas REALTORS, we can assist you with this important decision. There are many reasons people consider selling a home. Whether you're thinking of upgrading, or simply making a change, you may be wondering if the timing is right. Here are several reasons why this may be a good time to put your home on the market. * Housing prices in Texas have been steadily rising at a moderate pace for many years, even while other states have experienced wild price fluctuations. Chances are that your home is worth more than even a few years ago. * Record low interest rates motivate buyers to act on their desire to purchase a home and give more purchasing power. * Unlike several other states that experienced wild price fluctuations and skyrocketing foreclosure rates, Texas does not have a glut of unsold home. According to the Real Estate Center at Texas A&M, the statewide supply of homes is at a level that leads to a fairly balanced market. * Individuals and businesses continue to move to Texas, and this ongoing population growth fees a strong demand for housing.